It is true that crowdfunding works and allows to finance projects, companies, music bands, etc.. but for this funding to meet its goal (the realization of a particular project), the first thing to do is to correctly calculate the amount to be requested. First you have to make an estimate of the costs strictly associated with the project: whether to hire someone, the promotion of the project outcome if appropriate (a disc, magazine, etc …), rents, costs of material… each project will have its own characteristics and is the crowdsourcer responsibility of knowing in deep all the associated costs. The percentage of the platform. To survive economically, crowdfunding platforms keep a percentage of the amount requested. Goteo keeps the 8% (they afirm that a smaller percentage would make the platform non-profitable), Lánzanos and Verkami keep the 5%, for example. Foreign platforms work in the same way: Kickstarter keeps the 5% and IndieGoGo the 4% of the projects reaching the amount requested and the 9% in those projects that do not reach the amount requested (in this platform, the money collected is available even the requested amount isn’t reached). As I mentioned in a previous post, someone to do the functions of community manager and engaged in this project can be the difference between success and failure. The cost in this case will depend on the person performing the task. The ordinary Internet advertising, through advertisements in blogs or sites visited by the user community that may participate in your project, is also a good idea. Again, in this case the costs depend on these websites. Bank commission. Depending on the method of payment, there will be established a different commission. If Paypal is used, the commissions are of a 3,4% if the amount is lower thatn 2.500€, 2,9% if the amount is between 2.500€ and 10.000€, 2,7% if it’s between 10.000€ and 50.000€, 2,4% between 50.000€ and 100.000€ or 1,9% if the amount is higher than 100.000€. If the crowd pays by credit card, the bank charges vary depending on the company the crowdfunding platform is working with. In Verkami, for example, this commission is between 1.30% and 1.45% and in Goteo is of 0.8%. Taxes. Depending on whether the money is received by a company or by an individual, depending on the type of crowdfunding used, there are different taxes that must be paid. 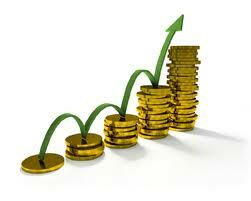 For example, if the reward offered in exchange for a monetary amount is considered a purchase, should apply VAT (I.V.A. in spanish). If there is no reward or benefit, should take into account the tax on donations, etc.. I’ll explain all this stuff in a post I am preparing. The rewards. For each donation, the crowdsourcer offers a rewards that will vary depending in the crowdfunding model used. If the reward crowdfunding model is used (Lánzanos, Projeggt, Libros.com, etc. ), the costs to deliver and buy or make that rewards should be taken into account. If the lending crowdfunding model is used, the interest to be applied to the requested amount should be taked into account. Comunitae, for example, sets the interests in a 9%, a 12%, etc. If the equity crowdfunding model is being used, the costs (and risks) of open the company to the crowd and inform them should be taken into account. Contingencies. Obviously, these contingencies are impossible to quantify, but bear in mind that often appear and disrupt the budget prepared. These seven elements are generally those that must be taken into account before launching a project. If not taken into account, as happens in many projects, even if the amount requested is achieved, the project won’t be carried out. If you want to see how this really works, you can visit the wiki of a spanish crowdfunding project (Radio Battletoads), in which they explains in detail what happens with every €.